This call for proposals is based on Regulation (EU) No 1288/2013 of the European Parliament and of the Council of 11 December 2013 establishing 'Erasmus+': the Union programme for education, training, youth and sport and repealing Decisions No 1719/2006/EC, No 1720/2006/EC and No 1298/2008/EC (Official Journal of the European Union L 347/50 of 20.12.2013). In higher education, Erasmus+ aims to support the EU's renewed agenda for higher education. The Erasmus Charter for Higher Education (ECHE) sets out the fundamental principles and the minimum requirements with which higher education institutions (HEIs) must comply when applying for and implementing activities under Erasmus+. Holding an ECHE is a pre-requisite for all Higher Education Institutions located in an eligible country and willing to participate in the learning mobility of individuals and/or cooperation for innovation and good practices in the programme. By signing the ECHE, the HEI confirms that its participation in Erasmus+ is part of its strategy for modernisation and internationalisation. This strategy acknowledges the key contribution of student and staff mobility and of participation in international cooperation projects, to the quality of its higher education programmes and student experience. The charter aims to reinforce the quality of student and staff mobility and guide how the programme is monitored. A call for proposals for the award of the ECHE is launched annually by EACEA (the Education, Audiovisual and Culture Executive Agency). If awarded, the Charter is valid for the entire duration of the Erasmus+ Programme. The conditions for applying to receive an ECHE are described on the Executive Agency's website. All applicants have to fill in the application form providing accurate and detailed information. This application form needs to be carefully and thoroughly completed as it will be used for selection and monitoring how the HEI implements the ECHE principles under Erasmus+ (see also the ECHE monitoring guide for Erasmus+ National Agencies). Once approved by the European Commission and signed by the HEI's legal representative, the Erasmus Charter for Higher Education remains valid for the full duration of the Erasmus+ programme, until the end of the academic year 2020-2021. How well the HEI complies with the ECHE principles will be monitored by the National Agency through visits, reporting, participant reports, etc. HEIs must respect all of the ECHE principles. Violating the ECHE principles and commitments may lead to withdrawal by the European Commission. When non-compliance is identified, an action plan will be agreed between the HEI and the National Agency to solve any problems. If the action plan is not satisfactorily implemented by the HEI within the agreed timeline, this will be reported to the European Commission and may lead to the charter's withdrawal. Through the Call, HEIs located in Programme Countries can be accredited to take part in Erasmus+ activities, such as learning mobility of individuals and/or cooperation for innovation and good practices. The Erasmus Charter for Higher Education (ECHE) provides the general quality framework within which an HEI may carry out Erasmus+ European and international cooperation activities. The award of an Erasmus Charter for Higher Education is a pre- requisite for all HEIs located in one of the countries listed below and wanting to apply and participate in learning mobility of individuals and/or cooperation for innovation and good practices under the Erasmus+ Programme. For HEIs located in other countries, the ECHE is not required, and the quality framework is established through inter-institutional agreements between HEIs, which include the obligation to observe ECHE principles. The Charter is awarded for the full duration of the Erasmus+ Programme. The charter's implementation will be monitored and violation of any of its principles and commitments may lead to its withdrawal.  the "Endorsement of the application" (part E) must bear the signature of the legal representative of the institution and, if required, the stamps or seals of the institution. For the Call - EACEA/02/2019, applicants must use the online ECHE application form (eForm) and its attachments. For more details, please see the annex of these guidelines where the submission process is fully explained. Please note that only typed applications will be considered. In order to submit an application, applicants must provide their Participant Identification Code (PIC) in the application form. The PIC can be obtained by registering the organisation in the Unique Registration Facility (URF) hosted in the Education, Audiovisual, Culture, Citizenship and Volunteering Participant Portal. The Unique Registration Facility is a tool shared by other services of the European Commission. If an applicant already has a PIC that has been used for other programmes (for example the Research programmes), the same PIC is valid for the present call for proposals. The Participant Portal allows applicants to upload or update the information related to their legal status and attach the requested legal and financial documents. See section 2 of the Annex for more information. c) the EU candidate countries: the former Yugoslav Republic of Macedonia, Serbia and Turkey. After all applications are submitted, National Authorities shall confirm which Higher Education Institutions who applied are eligible to participate in learning mobility of individuals and/or cooperation for innovation and good practices under Erasmus+, in their respective territories.  The application is not submitted by a consortium. "Participants" in the Erasmus+ Programme Guide. f) it has been established by a final judgment or final administrative decision that the applicant has committed an irregularity within the meaning of Article 1(2) of Council Regulation (EC, Euratom) No 2988/95. decisions of the Commission relating to the infringement of the Union's competition rules or of a national competent authority relating to the infringement of Union or national competition law. decisions of exclusion by an authorising officer of an EU institution, of a European office or of an EU agency or body. h) a person who is a member of the administrative, management or supervisory body of the applicant, or who has powers of representation, decision or control with regard to that applicant (this covers the company directors, members of the management or supervisory bodies, and cases where one person holds a majority of shares), is in one or more of the situations referred to in points (c) to (f) above. i) a natural or legal person that assumes unlimited liability for the debts of that applicant is in one or more of the situations referred to in point (a) or (b) above. If an applicant is in one of the situations of exclusion listed above, it should indicate the measures it has taken to remedy the exclusion situation, thus demonstrating its reliability. They may include e.g. technical, organisational and personnel measures to prevent further occurrence, compensation of damage or payment of fines. The relevant documentary evidence which illustrates the remedial measures taken must be provided in annex to the declaration. This does not apply for the situations referred in point (d) of this section. In the cases provided in (c) to (f) above, in the absence of a final judgement or where applicable a final administrative decision, the Agency may exclude an applicant provisionally from participating in a call for proposals where their participation would constitute a serious and imminent threat to the Union's financial interests. entails a distortion of competition that cannot be remedied otherwise. Rejection from this procedure and administrative sanctions (exclusion or financial penalty) may be imposed on applicants or affiliated entities where applicable, if any of the declarations or information provided as a condition for participating in this procedure prove to be false. In case of a preliminary classification in law (i.e. absence of a final judgement or a final administrative decision), the publication shall indicate that there is no final judgement or final administrative decision. In those cases, information about any appeals by the applicant, their status and their outcome, as well as any revised decision of the authorised officer, shall be published without delay. Where a financial penalty has been imposed, the publication shall also indicate whether that penalty has been paid. The decision to publish the information is taken by the Agency either following the relevant final judgement, final administrative decision or preliminary classification in law, as the case may be. That decision shall take effect three months after its notification to the economic operator. The information published shall be removed as soon as the exclusion has come to an end. In the case of a financial penalty, the publication shall be removed six months after payment of that penalty. In accordance with Regulation (EC) No 45/2001, where personal data is concerned, the Agency shall inform the applicant of its rights under the applicable data protection rules and of the procedures available for exercising those rights. Applicants must sign a declaration on their honour certifying that they are not in one of the situations referred to in the above sections 7.1. and 7.2, filling in the relevant form attached to the application form accompanying the call for proposals. If applicable, the relevant documentary evidence which appropriately illustrates any remedial measures taken should be provided in annex to this declaration. (c) where a natural person is concerned, unless the publication of personal data is exceptionally justified, inter alia, by the seriousness of the conduct or its impact on the Union's financial interests. In such cases, the decision to publish the information shall duly take into consideration the right to privacy and other rights provided for in Regulation (EC) No 45/2001. Each eligible application is evaluated by two external higher education experts who have to agree on whether or not to recommend that the institution is awarded the charter. The principles are explained in the Annotated guidelines. All ECHE holders must adhere to all of the principles. There are some aspects of the charter principles which must be in place before the award of the charter. Institutions elaborate on these points in the application form. Each charter holding institution must comply with all of the ECHE principles. However, three particular "pressure points" have been identified. Compliance with these points significantly affects how Erasmus+ mobility is implemented. This ensures transparency regarding learning / teaching opportunities for mobile students. This also implies that the HEI's offer is presented in a timely manner and includes all the necessary information according to the ECTS Users' Guide (2015).  a link to the course catalogue which presents the HEI's offer in a timely manner and includes all the necessary information. Recognising learning abroad is a complex process, which relies on the learning agreement. The learning agreement must be carefully filled out by the student, with support from the receiving institution's course catalogue and agreement from the sending institution on how learning abroad will be recognised upon return. The learning agreement must be signed by all three parties before the start of the mobility.  grades and information necessary to interpret them. The learning agreement should provide a clear and easy path for recourse in case there are difficulties in recognising learning outcomes.  transcripts of records will include appropriate information on learning outcomes; volume of workload (credits); grades; and the information necessary to interpret them, in a timely manner.  there is a clear and easy path for students to have recourse in case there are difficulties in recognition. Using ECTS grade distribution tables is not specifically referred to in the charter principles. However, the ECTS Users' Guide (2015) outlines how to use such tables, and provides full and accurate information on the grading system and grade transfer used. This helps sending institutions to recognise learning done abroad in an appropriate way. Full information on grading systems and grade transfer should be included in inter- institutional agreements. Grade distribution tables should be provided with the transcript of records (table C of the learning agreement). HEIs which do not provide grade distribution tables with transcripts of records, should inform the partner HEIs where information for grade conversion / transfer can be found on their website / course catalogue. Countries that do not use numerical grades should provide full information about their system so that their partners can calculate how grades should be converted. Full information on grading practice will help students to understand from the beginning how their grades will be recognised.  grade distribution tables will be provided with transcripts of records (table C of the learning agreement). Countries that do not use numerical grades should provide full information about their system so that their partners can calculate how grades should be converted.  Clarity and completeness of the answers: applicants must provide relevant and complete information on how they fulfil the principles. In case a question is not relevant for the applicant organisation, this must be justified.  How the ECHE principles covering mobility and cooperation will be fulfilled by the HEI. 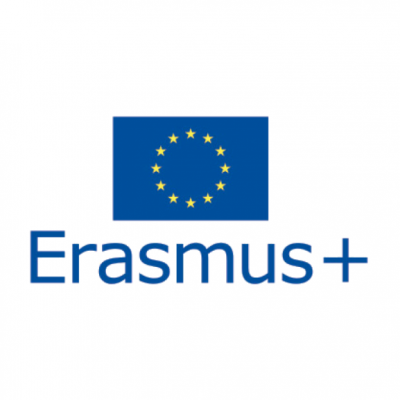  Clarity of the Erasmus Policy Statement and how coherent the institution's profile and priorities are with mobility and cooperation under Erasmus+ Applicants should complete their application form with accurate and detailed information. The Erasmus Policy Statement (EPS) needs to be specific to the institution and may not be copied from a "model" or a general framework. The final decision on awarding the charter will be taken by the European Commission on the recommendations of the ECHE Evaluation Committee, composed of a panel of European Commission and Executive Agency officials. Application forms will not only be used for awarding the ECHE, but also for monitoring the HEI's activities under Erasmus+. This monitoring will be done by relevant National Agency for Erasmus+. Beneficiaries should continuously promote Erasmus+ activities and their results. Beneficiaries are required to display the charter and their Erasmus Policy Statement prominently on their website. Applicants and, if they are legal entities, persons who are members of the administrative, management or supervisory body of that applicant or who have powers of representation, decision or control with regard to that applicant, or natural or legal persons that assume unlimited liability for the debts of that applicant, are informed that, their personal data (name, given name if natural person, address, legal form and name and given name of the persons with powers of representation, decision-making or control, if legal person) may be registered in the Early Detection and Exclusion System (EDES) by the Authorising Officer of the Agency, should they be in one of the situations mentioned in the Regulation (EU, Euratom) No 2018/1046 of the European Parliament and of the Council of 18 July 2018 on the financial rules applicable to the general budget of the Union, amending Regulations (EU) No 1296/2013, (EU) No 1301/2013, (EU) No 1303/2013, (EU) No 1304/2013, (EU) No 1309/2013, (EU) No 1316/2013, (EU) No 223/2014, (EU) No 283/2014, and Decision No 541/2014/EU and repealing Regulation (EU, Euratom) No 966/2012 PE/13/2018/REV/1 (OJ L 193, 30.7.2018, p. 1–222).